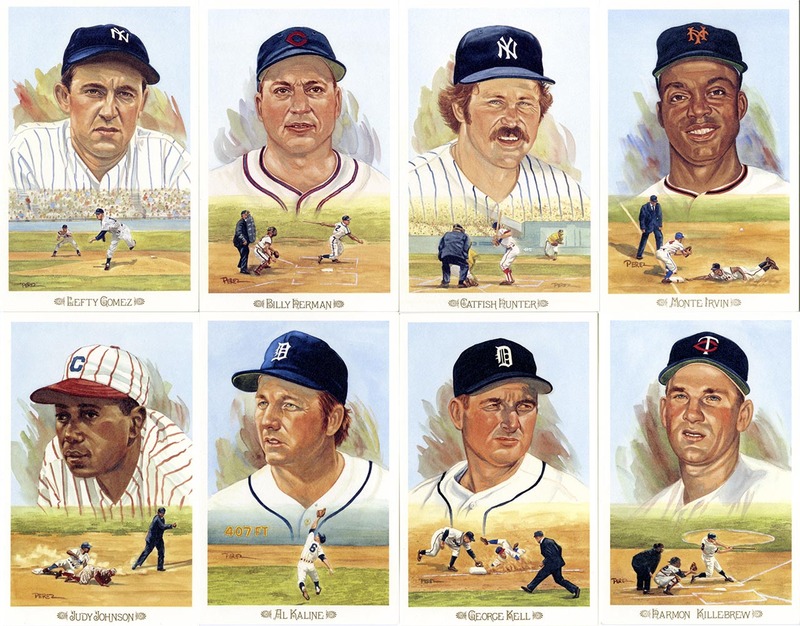 This set of cards was produced to commemorate the 50th anniversary of The Baseball Hall of Fame in 1989. The set pays homage to the 1887 W.S. Kimball & Co. Champions. 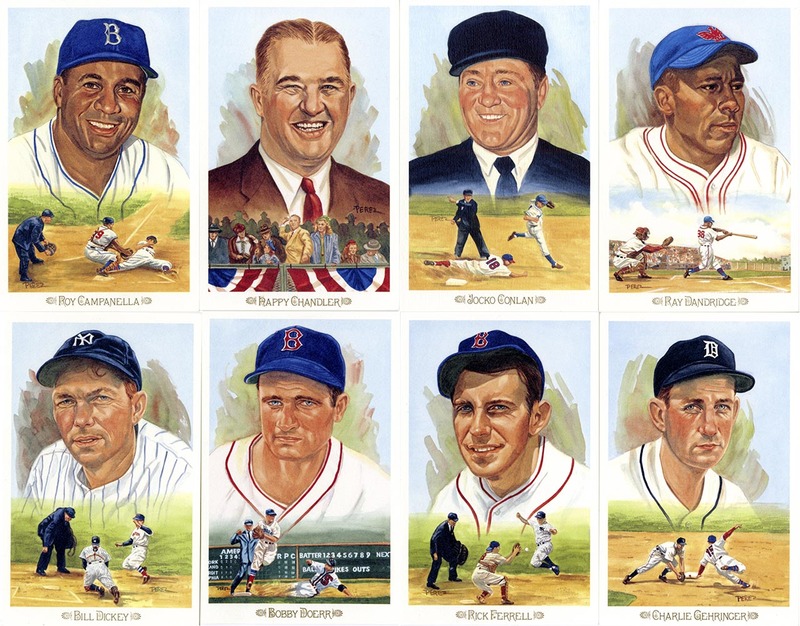 The vintage issue featured “Champions of Games and Sports”. The variety of sports subjects included pugilists, skaters, swimmers, wrestlers, a pool player and others. 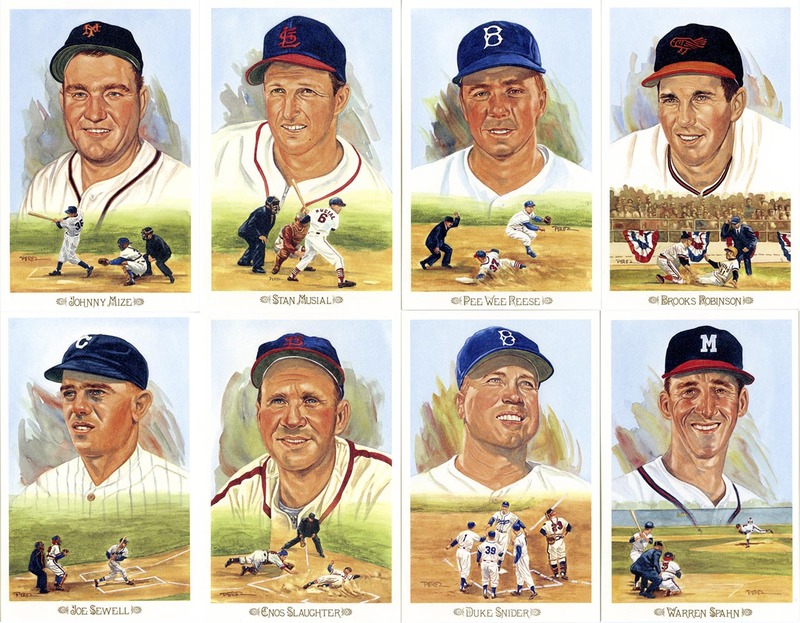 Only 4 of the 50 cards features baseball players, none are Hall of Famers. 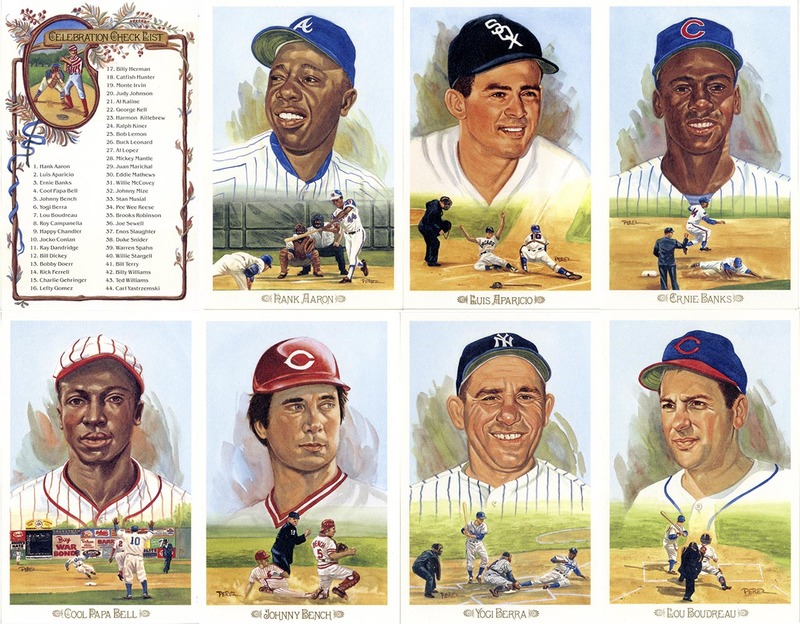 “Celebration” was created for autograph seekers. 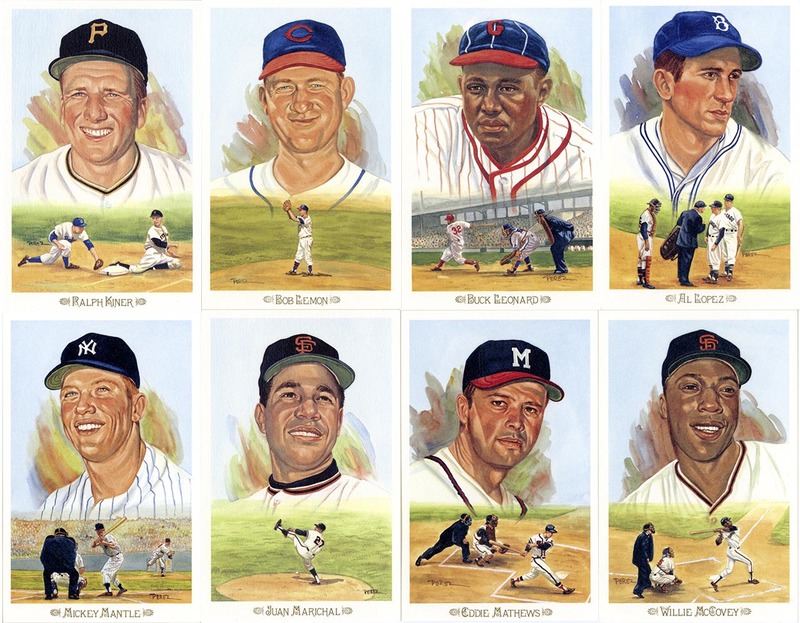 44 of the living Hall of Fame members at that time agreed to be included in the set. Willie Mays and Joe DiMaggio declined. 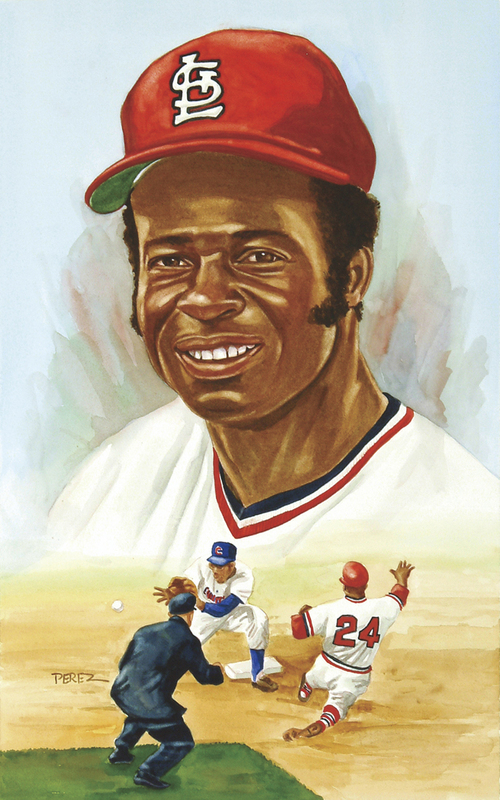 Lou Brock agreed but backed off at the last moment, however not before the original art was produced. It is included here.